Having survived the depths of Hell, Dante and Virgil climb the Mountain of Purgatory. In this kingdom, divided into seven terraces, which correspond to the seven deadly sins, the spirits have to purge their souls to ascend towards God in Heaven. 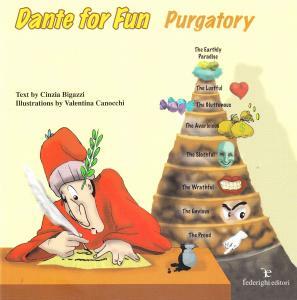 The Cantica starts with the ante-Purgatory and culminates with Heaven and the vision of Beatrice, Dante's love.